Helenio Herrera glanced out of the window across the pitches at Internazionale’s training ground in Appiano Gentile, the picturesque venue located 40km north-west of Milan in Como. Life was good for the 53-year-old Argentine who was about to embark on the most successful era in the club’s history. He was the highest paid manager in the game, having named his price to club president Angelo Moratti when he left the comfort of Camp Nou and took his talents to Italy. Fans of the Blaugrana were up in arms. Initial links to rivals Real Madrid subsided, the blow only cushioned by the fact he would not be in direct competition with his former club. Working in Italy provided Herrera with not only a new challenge but also a new way in which he would approach the game. Perhaps he was drawn in by the musings of influential Italian journalist Gianni Brera, who stated that Italian footballers were unable to compete with the physicality of other nations and had to adapt accordingly. Nereo Rocco had spent many an hour conversing with Brera and ushered in catenaccio to the Italian game. The defensive mechanism first developed by Karl Rappan in Switzerland had made its way over the Alps and now Herrera was on board as the Milan giants battled for Serie A supremacy in the 1960s. It was a philosophy based on a stifling defence squeezing the life out of opponents before striking on the counter-attack. Unbeknownst to Herrera, he had subconsciously set the wheels in motion for his own footballing downfall and dates with destiny for all three men. 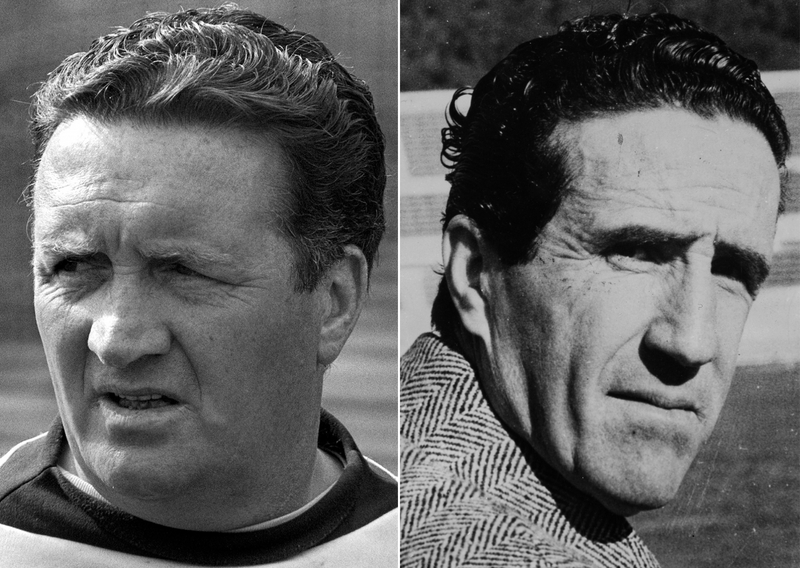 One bright Autumn day in 1963, Herrera welcomed two visitors from Scotland, Dunfermline manager John “Jock” Stein and compatriot Willie Waddell, who was in charge at Kilmarnock, to the Nerazzurri training ground. Today, budding young coaches travel the world to watch others work, but in the early 60s, this was relatively unheard of. Stein was intrigued by Herrera and was keen to get inside the mind of a man who seemed to eat, drink and sleep football. Rumours were Herrera even had a model football pitch next to his bed should he wake up in the night with ideas regarding the game. Herrera was impressed by Stein’s energy and enthusiasm, referring to him as “un grande formica” – the big ant. Of the two visitors, Waddell reaped instant reward, leading the East Ayrshire club to their only league title the following season with a defence-first strategy. For Stein, his journey had a few turns to take before he could put what knowledge he had attained to use. Stein was born in a Lanarkshire coal mining community, where the usual path took the young men from school to the pits. The dangerous occupation was built on teamwork and relying on the man next to you, lessons Stein took with him when he escaped a life at the coalface by becoming a footballer. He played part-time for Albion Rovers before turning professional at Welsh side Llanelli Town, but injuries curtailed his career in 1957 following relative success back in Scotland with Celtic. 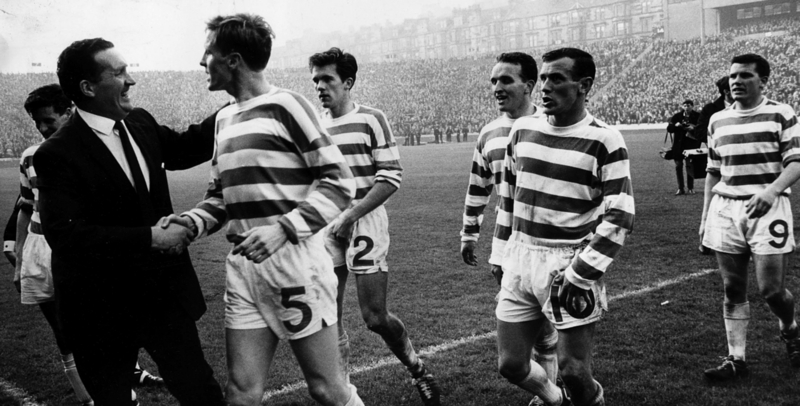 He began his coaching career with the Celtic reserves and spent time with some of the players that would go on to achieve historic feats a decade later. A resounding 8-2 aggregate victory over Glasgow rivals Rangers in the Reserves Cup gave the already ambitious Stein the confidence to pursue a first-team position. Any hopes of this being at Celtic Park were quashed, however, when he was told that, due to his Protestant faith, there would be no chance of him taking the managerial reins of the Parkhead club. A dejected Stein left to become Dunfermline manager. After changing the fortunes of both them and Hibernian, he achieved what was previously thought impossible by becoming Celtic’s first Protestant manager in March 1965. Herrera was born in Buenos Aires, the son of Francisco, an exiled Andalusian anarchist now working as a carpenter and his cleaner mother, Maria Gavilán Martínez. The Herrera family left for Casablanca in 1920 when Helenio was 10, seeking a better life. The youngster enrolled at a school in the former French colonial city and soon developed an interest in football, playing the game with schoolmates who had arrived from all around Europe. He left for Paris in 1930 and set upon a relatively nondescript career as a defender. A knee injury eventually curtailed his career as he retired in 1945. He swiftly became head coach at Stade Francais and within three years was managing in Spain, first with Real Valladolid and then Atlético Madrid, where he won two league titles. His inability to affect the game as a player now over, he was orchestrating the tactics from the dugout. By the time he arrived in Italy by way of Barcelona, Herrera was practically untouchable. The trajectories of Stein and Herrera were in the ascendancy with both men bringing long-awaited success to their clubs. Stein captured Celtic’s first Scottish league title in 12 years with a win over Rangers to usher in a new era at Parkhead. Following on from Stein’s visit to Herrera in 1963, the Scot continued his education two years later when he attended an international game between Scotland and Italy in Naples. The Azzurri ran out comfortable 3-0 winners and Stein was eager to pick the brains of defender Giacinto Facchetti. Stein whisked him off to a hotel bar and, with the aid of napkin diagrams, the Italian was able to show the Scot the intricacies of Italian defending. Much like Herrera, the Inter player was unaware of the collision course that both men were on. While Stein focused on tactics and analysis, Herrera became obsessed with his approach to the game. 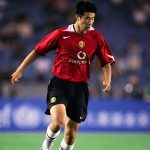 Smoking and drinking amongst his players was frowned upon as Herrera began a regime of keeping his squad at their training base for three days before a game. Their fitness and diet were monitored to the nth degree, with the sole focus of the players being the upcoming match. Rumours circulated of injections and supplements being administered to the players by the man the Italian press dubbed Il Mago, although nothing was ever proven. The Milan giants won back-to-back European Cups in 1964 and ’65 with victories over Real Madrid and Benfica to go along with their three Scudetti. The opportunity to win their third European title in four years came during the 1966/67 season where, despite stumbling past Torpedo Moscow in the first round, they soon hit their stride, dispatching Vasas of Hungary before an impressive 3-0 aggregate victory over Real Madrid to leave them one round away from another final. Celtic, meanwhile, were experiencing a season for the ages, winning both domestic cup competitions and zeroing in on the title, Stein had unleashed an attacking force on Scottish football like no other. The side made up of players from within 30 miles of Celtic Park used high wingers who would tuck inside to allow full-backs Tommy Gemmell and Jim Craig to go on rampaging overlaps. Stein’s primary concern was to entertain the fans and the only way he knew how was by blowing the opposition away, a stark contrast to the regimented and disciplined side they were destined to face in the season’s finale. By the time Celtic had beaten resolute Czech side Dukla Prague in their European Cup semi-final they knew either Inter or CSKA Sofia would await in Lisbon. Two draws meant a third game at a neutral ground in Bologna was required to decide the winner, Renato Cappellini scoring the decisive goal in the marathon tie to fire Inter to yet another European Cup final. The experienced Nerazzurri were favourites for the trophy, Celtic, although dominant domestically, were playing in their first European Cup final. Despite the odds being stacked heavily in the Italians’ favour, Herrera left little to chance and attempted to get inside Stein’s head in the run-up to the game. Celtic needed a victory in the Old Firm derby game with Rangers to secure the league title in the penultimate game of the season, a game in which Herrera would be in attendance. He arrived by private jet and before he left was notified that Stein would be repaying his side the favour by attending their league game with Juventus. Upon hearing this, Herrera contacted Stein and offered him a ride back to Milan onboard the private jet. Stein, not one to have the wool pulled over his eyes, warily booked his own flight without telling Herrera, which proved to be a wise decision. The Argentine cancelled the offer at the last minute, stating Stein’s generous size meant he was unable to fly on the plane. A further inconvenience occurred when, on his arrival at the game, the pre-arranged match ticket was nowhere to be seen and Stein had to wangle his way into the ground on a press pass. The mind games were now in full swing, Inter’s star midfielder Luis Suárez, who had arrived from Barcelona alongside Herrera, was injured and not expected to play. Stein wasn’t convinced; it was only when he received word that the Spaniard hadn’t stepped foot off the team plane in Lisbon that he knew he wouldn’t be playing after all. The Celtic contingent arrived and headed straight to the stadium to train, with preparation key for Stein who arranged the session to mimic the kick-off time 48 hours later. After training had finished, Stein struck the first blow in the psychological battle with Herrera by naming his starting XI. Stein knew that Herrera was no fool and would be able to predict the Celtic side as the same one that had been playing recently. Indeed, the days of 25-man squads and rotation policies some way off yet. However, Stein wasn’t finished and proceeded to tell the press not only that they would win but also how they would do it, focusing on attack and fluidity. The press lapped it up, Stein’s charm offensive had got them all on side. Herrera, on the other hand, was uncommunicative, answering many questions with a firm “no comment”, with Stein taking the time to answer all the questions put his way as hordes of green and white began to arrive in Lisbon. The locals were taken aback by the jovial atmosphere and took the Scottish side into their hearts. Quickly, Celtic became the neutral’s team. With the second training session about to begin, Inter were without Suárez and Brazilian winger Jair, a key cog in their counter-attacking style. Stein knew Herrera’s options were limited and was relatively certain of his opponent’s team selection. The Scot attempted to strike another blow in the pre-game war of psychology by arriving at the stadium at 9.30 in the morning, looking to get their session over with before Inter turned up and the temperatures soared. On arrival he was stunned to see the Inter squad had already trained, were back in their tracksuits and sat in the stands ready to watch Celtic go through their paces. The wily Herrera had hit back. Stein, enraged by this, ordered his players not to give any of their preparation away as they proceeded to take up different positions and play errant passes. For the Inter squad, a chance to watch the opposition train was a welcome distraction. From the moment they arrived in Lisbon they had been holed up in a seafront hotel for three days, and the only people they had contact with were the backroom staff. Years later, Inter players spoke of the tension in the camp and how four squad members were sick on the morning of the final. Herrera’s autocratic management regime had finally taken its toll. Despite being overwhelming favourites, Inter treated the game the same as any other. The cracks were starting to appear in the team, though; the strain of Herrera’s grip rapidly taking its toll. The Celtic camp, however, were bristling with confidence. This was a team that had become accustomed to winning and showed a fearlessness about their play. Stein was confident that the tactical plan he had devised would unlock the Inter defence, although he conceded that should they go a goal behind, the tie would almost certainly be over. Herrera had pinpointed Celtic’s Jimmy Johnstone as the danger man and decided to man mark him through Tarcisio Burgnich. It represented his first mistake. Stein knew of the impetus Facchetti provided Inter when they transitioned into attack, drumming the instructions into Tommy Gemmell: “Play like Facchetti, think like Facchetti, be Facchetti.” Celtic getting players beyond the Inter defensive line was their best chance – maybe their only chance. As the Estádio Nacional in Lisbon filled with swathes of green and white, the two teams emerged from the tunnel, Herrera made one last attempt at disrupting Stein by commandeering the bench that had been allocated to Celtic. The no-nonsense South Lanarkshire native marched up to Herrera and his staff pointed out in no uncertain terms where their bench was situated, a fair distance away from where they currently were. With seven minutes on the clock, Steins worst nightmares came true when Jim Craig was adjudged to have fouled Renato Capellini in the penalty area. 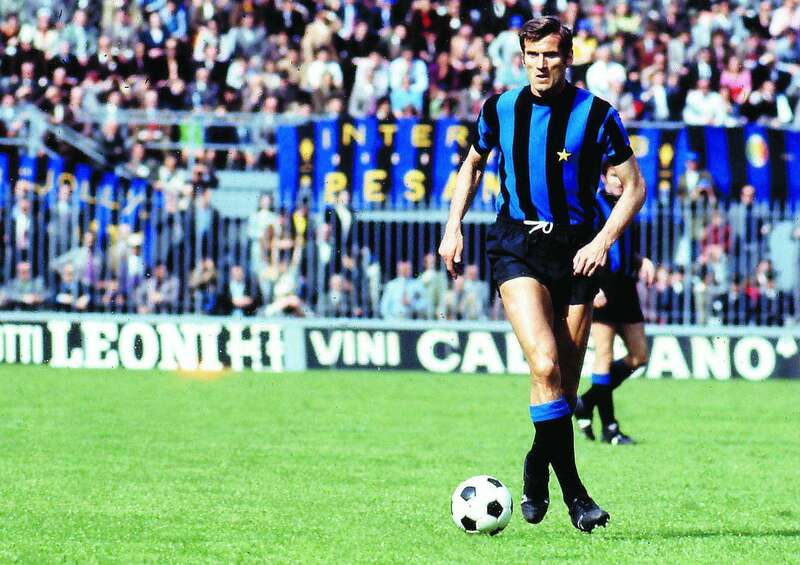 German referee Kurt Tschenscher pointed to spot and Sandro Mazzola coolly slotted home to give Inter the lead, something they rarely surrendered. The Nerazzurri set up camp in their own half and put the impetus on Celtic to find a way through them. Stein knew there was plenty of time left in the game and that his side had the stamina and energy needed to push the Italians to the limit. As Celtic piled on the pressure, they found Inter goalkeeper Giuliano Sarti in imperious form. Save after save kept the Bhoys at bay and Herrera had him to thank for the one-goal lead they maintained at the break. As Tschenscher blew for half-time, a furious Stein made a beeline for the official and Herrera. He unleashed a tirade as his opposite number made his way off the pitch, the nonplussed Argentine ignoring the burly Scot as he approached the tunnel. Next, Stein turned his attention to the referee, accusing him of being paid in return for the first half penalty. Now in the tunnel, the focus turned to Herrera again, the apoplectic Stein not happy about the Italians’ rough tactics and their time wasting. Having heard enough, Herrera finally snapped flicked a V sign at Stein. The ex-miner promptly gripped the Inter boss by his lapels before goalkeeper Sarti intervened and wrestled his manager to the safety of the changing room. Stein needn’t have worried: as the game wore on Inter were dead on their feet. The relentless attacking from Celtic saw the Nerazzurri resort to launching long balls forward just to relieve the pressure on their wilting defence. The breakthrough came when Gemmell arrived late into the area to slam the ball past Sarti and bring the Bhoys level. Inter were finished. Celtic hit the bar, side netting and poured forward at will. They finally put their withered opposition to bed with five minutes to go when Stevie Chalmers diverted a shot into Sarti’s goal. The game was over and a jubilant Celtic were rushed by the vast number of fans that had travelled from Glasgow. Inter sank to their knees, the unthinkable a reality. Herrera was gallant in defeat, rightfully declaring Celtic the deserved victors. He tore into his forlorn side after the game and kept them locked inside the changing room while Celtic made their way to the post-match meal. The Inter side finally arrived with tails between their legs an hour later, greeted by a standing ovation from the Celtic team. Whilst Celtic’s dominance under Stein continued with another European Cup final appearance four years later, the defeat was the beginning of the end for not only Herrera, but also catenaccio. He left Inter the following season and managed Roma to a Coppa Italia victory before being sacked. Two ideologies collided that day as football could look ahead to the bright lights of Totaalvoetbal that were forming in Amsterdam. Herrera remains a legend of the game and brought about a new perception of coaches. Previously they were peripheral figures, with the team’s success being put down to the players. Herrera, with his personality, methodical thinking and philosophical mind, changed that forever; the manager was now centre-stage. While he was a pioneer of psychological battles, he finally met his match in Stein, a man who, only 18 months earlier, had studied him at close quarters. His methods had run their course as the Inter players grew tired of the three-day lock-ins at their training ground, with every aspect of their lives micro-managed. In contrast, Stein allowed freedom of expression, and although he possessed a fiery temper, he trusted his players in the good times and bad, That faith was rewarded on a balmy May evening in 1967 as the final seeds were sown in a rivalry between two men that has stood the test of time.